"Kotri Raola is a three hundred year ancestral home of Thakur Saheb Mahendra Singh Ghanerao. 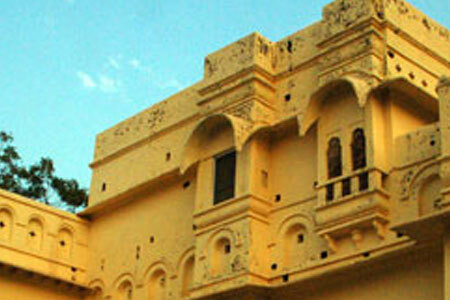 Located between Mewar, Udaipur and Marwar, Jodhpur, the small village of Kotri stands testimony to the bygone era. Built in 18th century, today it is a splendid heritage hotel with modern amenities. The original designs and architecture have been maintained and carefully restored. To cater to the comforts of guests, personalized services and traditional hospitality are offered. Kotri Raola offers a memorable holiday. Horse safaris in the countryside is one of the many charms of residing here on your vacations. The Korti Raola was built 200 years ago. The remnants of the palace have been refurbished to make Korti Raola a beautiful heritage hotel. One of the architectural marvels in Rajasthan, the palatial Korti Raola in Pali recreates the vintage flavor and medieval aura of yesteryears. Korti Raola in Pali is now managed by a passionate rider, Thakur Mahendra Singh. So Korti Raola is not just a heritage hotel but also the ideal destination for enjoying horse safaris. 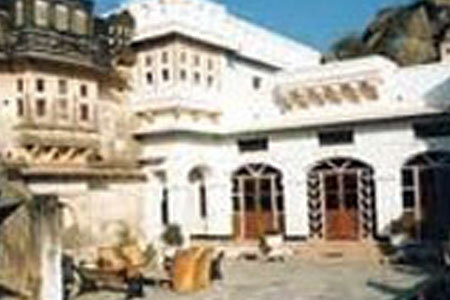 Enjoy the warmth of Rajput hospitality in Kotri Raola in Pali. Relax amidst the royal ambience of Korti Raola which offers to the guests the 10 beautifully designed rooms. The traditional décor of the rooms accentuated with the exquisite antique furniture makes it the royal comfort hub of tourists. The in house restaurant makes mouth watering royal Rajasthani cuisine in the regal ambience of Kotri Raola, Pali. Pali in Rajasthan is one of the ancient towns in Rajasthan which was named after the Paliwal Brahmins who settled here. Replete with historical monuments and temples, Pali is one of the ideal destinations for a history lover. The major tourist attractions of Pali are Hatundi Rata Mahabir Temple, the Surya Narayan Temple and also the Ranakpur Jain Temple.